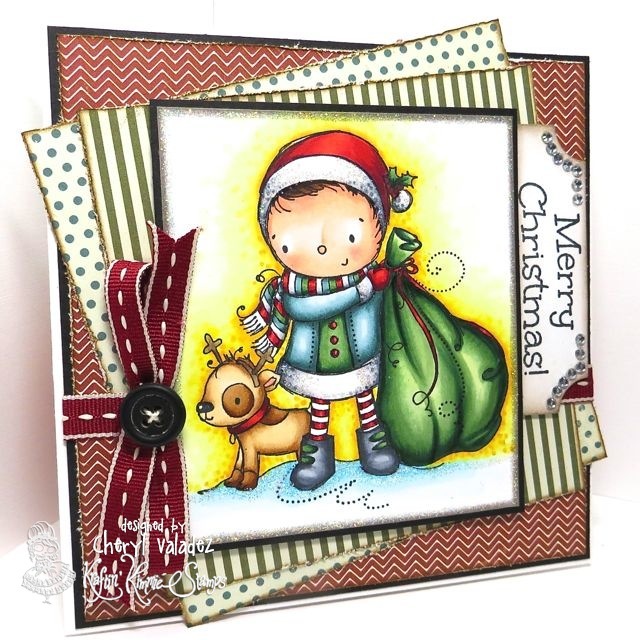 The Ink Trap: Day 4 of Krafty Peeks at Kraftin' Kimmie Stamps! Welcome back to day FOUR of our SEPTEMBER Kraftin' Kimmie Peeks!!! The awesome new stamps just keep on comin'!! We are SO thrilled to share the newest trio of stamps from Rachelle! Let's call the collection......DEAR SANTA!!! It includes stamps called.... A Letter to Santa, Santa & Pup and Someone Special! It's also Challenge day at KKS!! This week our hostess is JESSIE!! And her challenge is ANYTHING GOES!! So create a card, scrapbook page or altered item with a Kraftin' Kimmie stamp with no restrictions! Use any sketch, any design, any embellishments because Anything Goes! Have some krafty fun and join us this week because we'd LOVE to see your KKS designs. We hope you can play along for your chance to WIN some NEW Kraftin' Kimmie rubbah!!! Would you like to know who won the new stamp sets that we previewed yesterday???!! Well, you'll just have to wait until TONIGHT at this month's ONLINE RELEASE PARTY!!! Hope you can join us for all the fun and excitement and prizes!!! 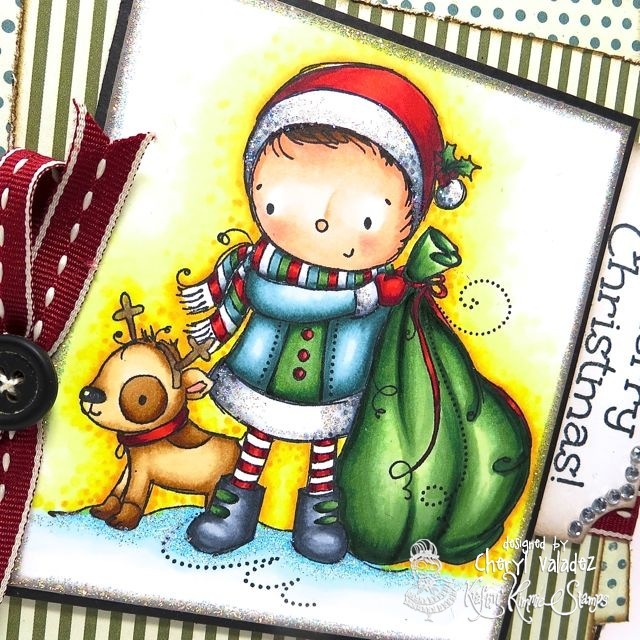 We'll be releasing all the new stamps you've seen this week PLUS our fabulous new Holiday Kardmaking Kit!! Did you know that YOU can WIN our ENTIRE new release?? Yepper! That's almost $150 worth of krafty goodies!! Go to our Facebook fan page to find out how! So come and hang out with us tonight for all the LIVE action krafty fun at the release party and then come on back here tomorrow to check out the release day blog hop! ALL the new stamps AND our amazing new product, the KRAFTY KARDMAKING KIT, will be available on Saturday night at the KKStamps Shop!! OMG Cheryl...I just love this card...your colouring is so AMAZING...WOW WOW WOW...I can't ever imagine being able to shade and colour like you (or any of the other Krafty Girls...the card is soooo gorgeous...I'll PM you so you can send it to me for Christmas this year (LOL)...but seriously...I WILL !!!! Thanks for sharing and inspiring !! Super image - gloriously colored! Just drop dead gorgeous card! Stunning card. Fantastic colouring. I absolutely love this image it is so cute. I'm a sucker for anything with a puppy. Adorable image and the colors you chose are wonderful! How cute is that puppy-la!!! I love how this has a cohesive look even with the use of many colors and patterns! Great card! I love this card!!! The rhinestones on the tab are just perfect! Wonderful colouring and love the layers. Love the papers, ribbon and coloring... Too cute! Your Santa and Pup is so cute, love the rich colors especially those stripe socks LOL!! The ribbon and button pop !! Really like the layers! Card is very cute!! Love all your layers on you layout. And your coloring is perfect!!! Congrats! your design and colors are awesome!